When Wendy's founder, R. David Thomas, discovered the taste of fast food hamburgers just didn't measure up, he decided to put his money where his mouth was. Thomas, the only active founder of a hamburger chain in the industry, began his Wendy's Old Fashioned Restaurants to make a better hamburger. This new venture was just the thing for a man whose past restaurant experience included a four-restaurant Kentucky Fried Chicken franchise and the founding of Arthur Treacher's Fish and Chips. The first Wendy's Old Fashioned Hamburgers, named after Thomas's daughter Melinda "Wendy" Thomas, opened in Columbus, Ohio in 1969. 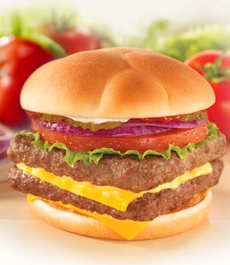 Wendy's set an industry precedent by offering "old fashioned, made to order hamburgers" using fresh meat. Where fast food trends have come and gone, Wendy's has remained committed to providing the highest quality and freshest foods while assuring competitive prices. Wendy's was the first quick-service restaurant to identify the market for healthier foods such as salads to the health-conscious consumer. In addition, Wendy's has diversified its menu to include chicken sandwiches, chili, potato entrees, salads and specialty items for children. Wendy's Restaurants of Canada opened its first store on September 23, 1975 in Hamilton, Ontario. Wendy's now operates 332 company and franchised stores within Canada. Wendy's parent company, Wendy's International, Inc., operates over 5800 Wendy's Old Fashioned Hamburger Restaurants in the United States, Canada and international markets. 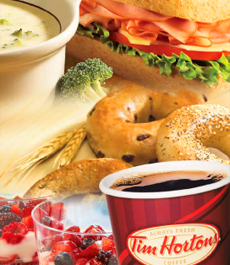 In December of 1995, Wendy's merged with Tim Hortons, a privately-held coffee and freshed baked goods chain with over 2000 units primarily in Canada. Consumers have responded to Wendy's current advertising campaign featuring Dave Thomas. The campaign has achieved North American success attaining an even higher awareness level than the award-winning "Where's the Beef?" campaign, featuring former manicurist Clara Peller.